Research and Development Department realizes strategic aims of the company: supports the creation of a strong brand of a business partner, who builds and develops innovative technological solutions as well as stimulates the market of modern technologies. It combines broad capabilities of specialized departments of the company in order to create and commercialize innovative technological projects in co-operation with scientific institutions and ICT companies. Qumak for several years has been performing projects for universities and science centers. The company is a leader among the providers of services for the educational as well we research and scientific sectors (report Computerworld TOP200, edition 2015). Thanks to the gained trust of scientific partners and experience in implementations covering the biggest ICT projects in the country, the Research and Development Department effectively co-operates with institutions in the research sector. At present, the R&DD develops solutions, the demand for which will be in future. Academic centers, with which it co-operates on a daily basis, analyze the problems that we will face in several or dozens of years, moreover, scientific research indicate which sort of technologies will satisfy the future needs. Having this knowledge, the R&DD selects appropriate tools from among many areas in which Qumak specializes – i.e. Data Center, building technologies, or interactive multimedia exhibitions – and by combining experience of expert teams develops reliably prepared projects. 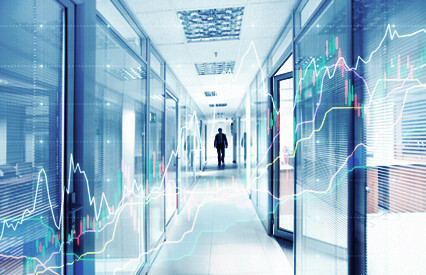 Thanks to a good knowledge of the market and an access to the most modern technologies, the R&DD evaluates a commercial potential of a developed product and engages in discussions with clients at an appropriate stage. During the co-operation, it conducts a process of acquiring a subsidy from national programs and EU funds provided for innovative technological projects. This is how one of the department’s projects is created – locomotive simulator. It allows training of train drivers in safe virtual conditions and creating models of behavior in emergency situations. The Research and Development Department on an ongoing basis monitors the market of IT and ICT companies in order to support innovative projects. Fulfills a role of an innovation incubator – selects companies of a big potential for development, which create modern tools, and undertakes a co-operation with them. Taking advantage of our rich experience, the company makes it easier for young firms to gain market share, guarantees an access to the most modern technologies, and supports financially the created projects. Innovative projects require capital e.g. for purchase of technologies and the realization of a future implementation. Therefore, the R&DD during its co-operation with universities uses own experience in preparing applications for EU grants and comprehensively conducts the process of acquiring co-funds. Strategic aim of the R&DD, i.e. building and developing innovative technological projects in co-operation with a scientific community, corresponds to a program realized by the Ministry of Science and Higher Education under the name “Horyzont 2020”. This is the largest in the history program of providing funds to scientific research and innovation in the European Union.